Every week, we’ll bring you a must-hear track from the Le Guess Who? 2018 line-up. 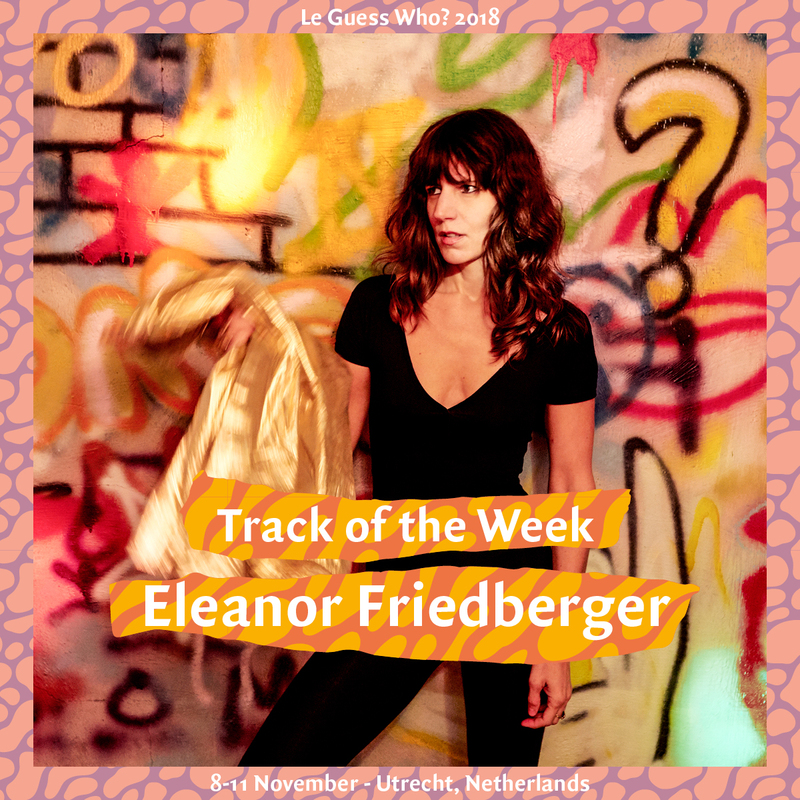 This week, we feature a track of Eleanor Friedberger's latest full-length 'Rebound'. As former half of indie sibling duo The Fiery Furnaces, Friedberger has created an acclaimed collection of quirky pop songs in recent years, and this track is an superb introduction to her solo work. Originally written as a straight-up guitar rock song, Eleanor Frieberger turned her track 'Everything' into a super catchy, synth-driven pop song. Stuffed with hooky guitars and keyboard lines as well as bizarre lyrics, this track is one of the most euphoric songs she has ever produced. It instantly makes you feel good. About everything, everything. Listen below; you can also find 'Everything' in our official 2018 playlist. Eleanor Friedberger will perform at Le Guess Who 2018 together with a.o. The Breeders, SASAMI, Devendra Banhart, Hello Skinny, Vashti Bunyan, Shintaro Sakamoto, Mudhoney, Serpentwithfeet, DRINKS and many more.